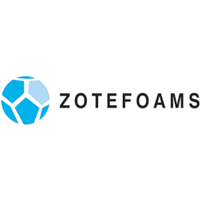 Zotefoams plc (LON:ZTF), a world leader in cellular material technology, today announced its interim results for the six months ended 30 June 2018. Commenting on the results, David Stirling, Zotefoams plc CEO, said: “Zotefoams’ ambition is to be the world leader in cellular materials technology in our chosen markets and, in the period, we have delivered strong organic growth and accelerated our investment plans to realise this ambition. In the first half of 2018 we also commissioned the initial phase of capacity expansion in Kentucky, USA, which allowed us to increase sales volumes in what remains a capacity constrained environment. Sales of higher value High Performance Products have grown very strongly and now represent 24% (2017: 15%) of Group sales. We enter the second half of the year with a strong order book, a differentiated product portfolio and continued growth expectations across all business units.